Library/Gallery May 19 to July 23. The two-month exhibit, in the old library and adjacent courtyard, will feature stained glass, paintings and sculptures. It will be open to the public Tuesdays and Thursdays, 11:00 am to 2:00 pm, and Saturdays and Sundays, 11:00 am to 4:00 pm. Private showings will be available by appointment through the church office. Hubbell has written five poems specifically for the exhibit and will be present at many of the free events planned around the art show, beginning with an Opening Night Reception on Friday, May 19 and then a Taizé Service two days later on May 21. St. James will host a private showing for San Diego’s top non-profit art groups on May 31. 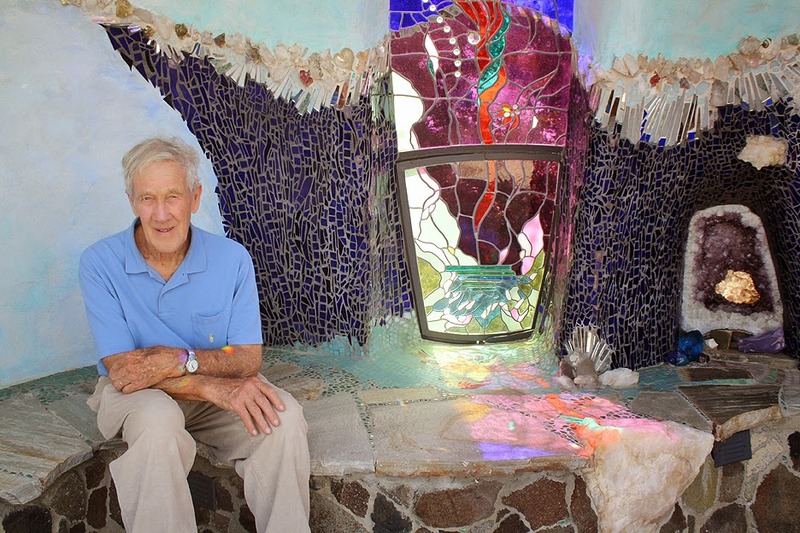 The 85-year-old artist hopes his exhibit will be a catalyst for bringing together local arts organizations in an effort to expand their offerings. The Rev'd Mark Hargreaves, Rector, will lead a conversation on June 9 with Hubbell’s son, Drew, about art and its environment. Drew runs a San Diego-based architecture firm specializing in green building processes and materials. A light reception will follow this event. On June 25, Marianne Gerdes, executive director of the Ilan-Lael art foundation, will give a lecture about Hubbell’s art and studio, located at the artist’s famous Ilan-Lael house in Santa Ysabel. Designed by Hubbell, the house is one of San Diego’s most architecturally significant homes. Several of the award-winning artist’s most famous sculptures are on Shelter Island and in Coronado. Hubbell’s installations also grace parks, schools and gardens around the world. On July 7, Gerdes will return to St. James to lead a presentation on Hubbell’s art in public places. with Vestry-hosted barbecue for the congregation and visitors. should contact Midge Coburn at mcoburn2@gmail.com.